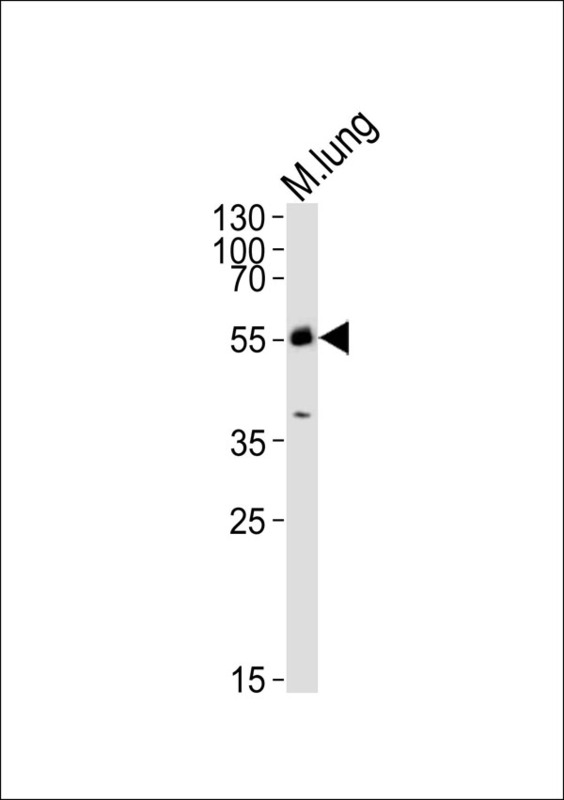 This Mouse Mlkl antibody is generated from rabbits immunized with a KLH conjugated synthetic peptide between 444-472 amino acids from the C-terminal region of mouse Mlkl. 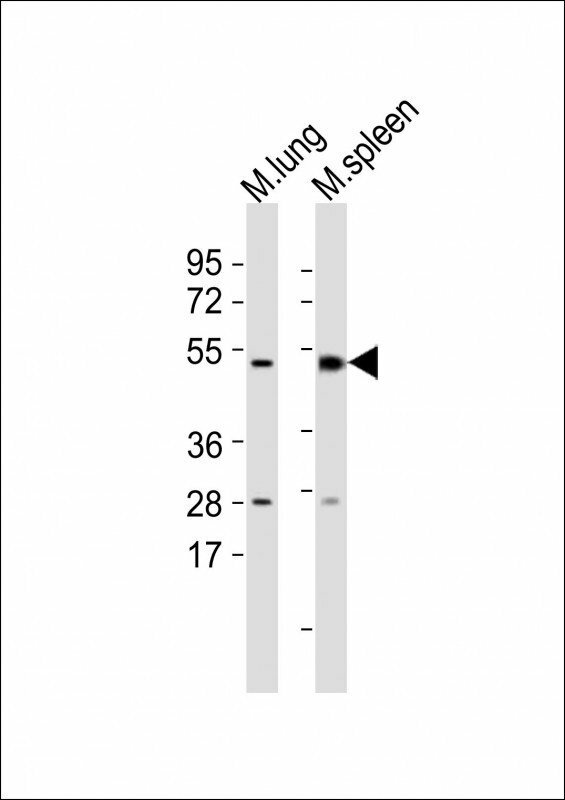 Small volumes of anti-Mlkl antibody vial(s) may occasionally become entrapped in the seal of the product vial during shipment and storage. If necessary, briefly centrifuge the vial on a tabletop centrifuge to dislodge any liquid in the container`s cap. Certain products may require to ship with dry ice and additional dry ice fee may apply. The protein kinase domain is predicted to be catalytically inactive. Molecular function: protein binding. There are two isoforms. 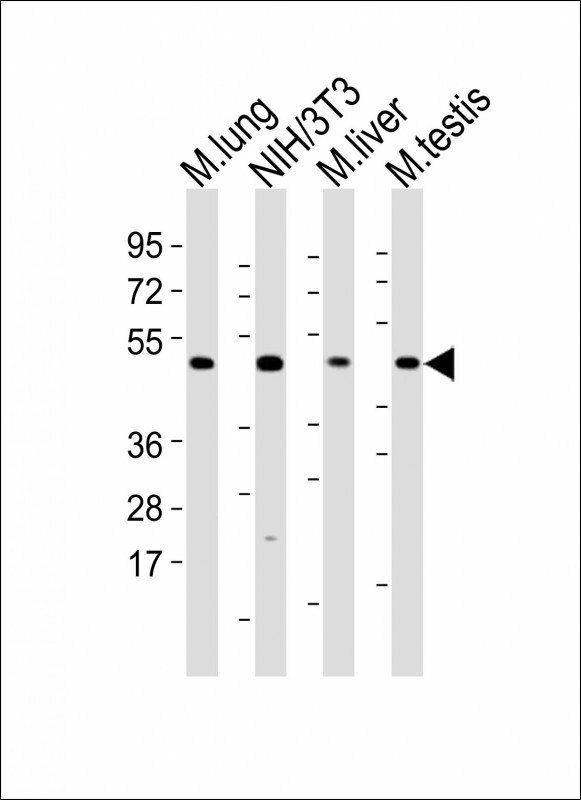 Western blot analysis of lysate from mouse lung tissue lysate, using Mlkl Antibody (C-term). MBS9206965 was diluted at 1:1000. 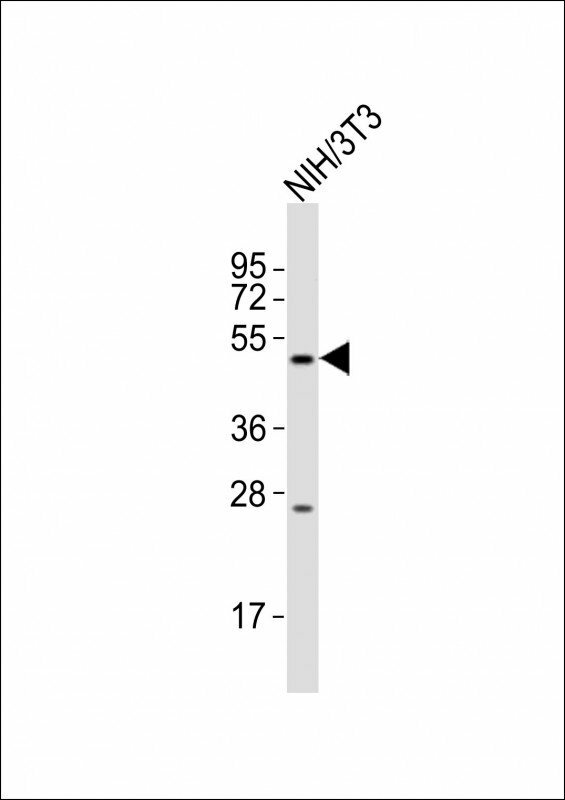 A goat anti-rabbit IgG H&L(HRP) at 1:10000 dilution was used as the secondary antibody. Lysate at 20ug. 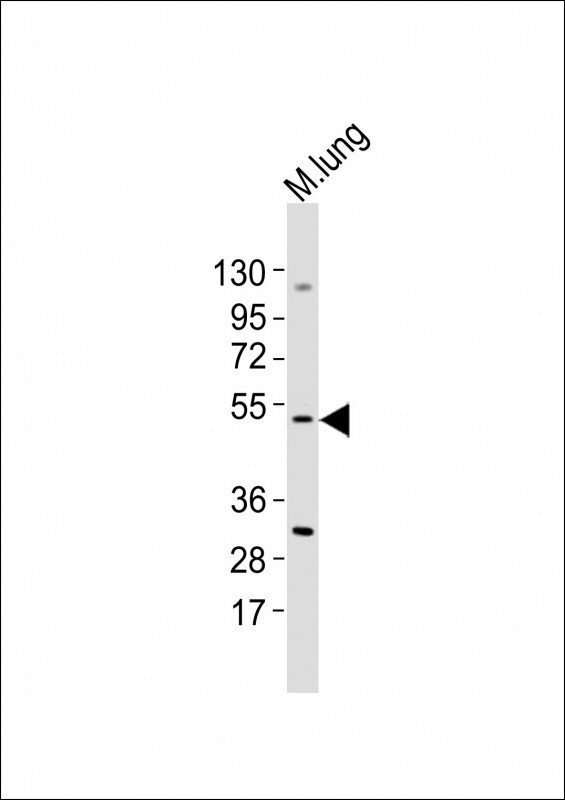 NCBI/Uniprot data below describe general gene information for Mlkl. It may not necessarily be applicable to this product. 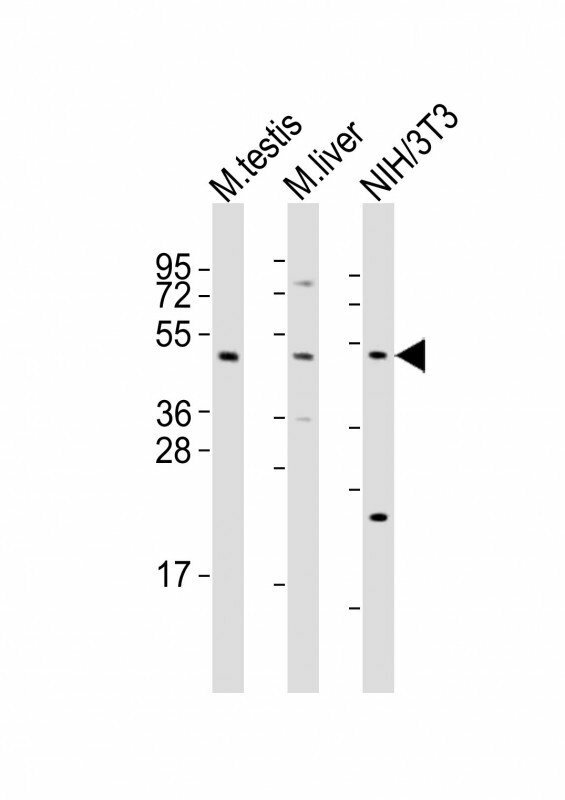 MLKL: Belongs to the protein kinase superfamily. 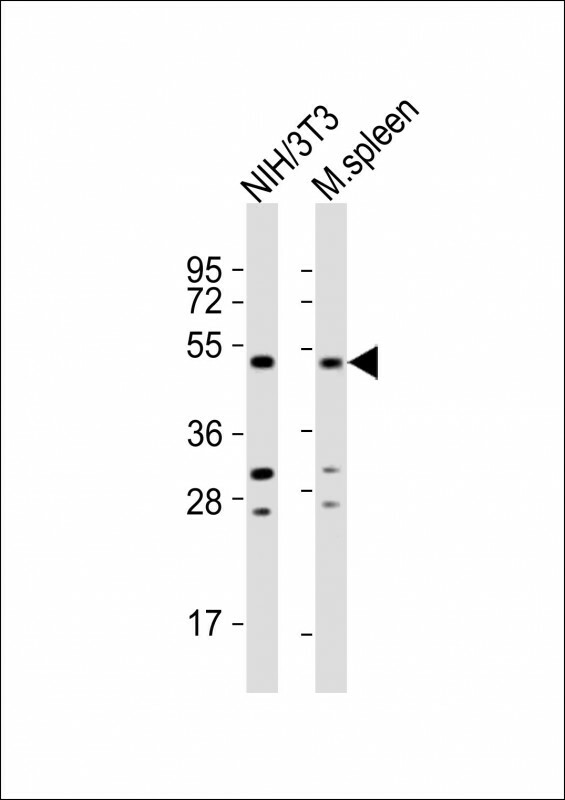 2 isoforms of the human protein are produced by alternative splicing.